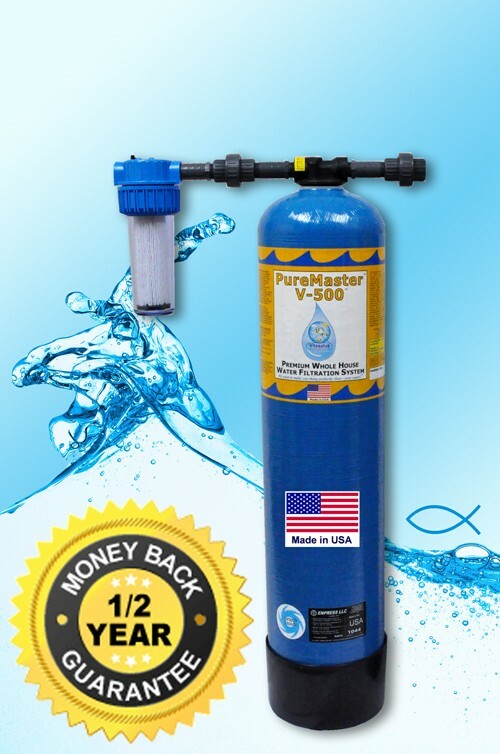 The PureMaster™ V-Series™ V-500™ Premium Whole House Water Filtration System effectively performs for about 500,000 gallons or 5–7 years of use for the average household and is loaded with approximately 45 pounds of NSF® certified high-grade water filtration media. The PureMaster V-500 effectively filters chlorine, chloramine/chloramines, sediment and particulate, cysts, copepods, VOCs, SOCs, THMs, PAHs, atrazine, benzene, xylene, pesticides, insecticides, herbicides, tastes, odors and hundreds of other potential contaminants and harmful chemicals from the water entering your business or home. The PureMaster™ V-500™ Whole Home Unit (or drinking water system) is designed for maximum contact time to ensure optimum filtration for about 500,000 gallons of water or 5–7 years of use for an average household. The PureMaster V-500 is a Point-of-Entry (POE) system designed for municipally treated water, but may also be used, in many cases, as a well water filter or treatment system. 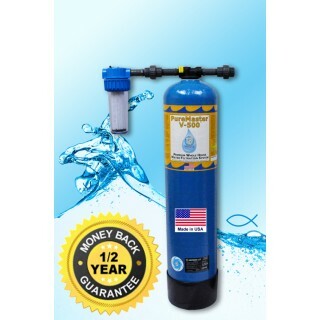 The PureMaster V-500 may serve as a mild water softener, depending on your specific water conditions, or, it may also be installed after a water softener. The PureMaster™ V-500™ system uses an advanced multistage filtration process, ensuring maximum contact time, through NSF® certified high grade water filtration media which is specially blended and layered. Complete System: Includes the Ready-To-Install PureMaster™ V-500™ System (blue tank unit) plus an installation kit which includes a 0.35-micron prefilter used to filter out potential copepods, cysts, sediment and/or particulate matter down to 0.35 microns in size. Replacement System: Includes only the Ready-To-Install PureMaster™ V-500™ blue tank unit with filtration media and inlet and outlet head. NOTE: The replacement system option is typically for existing V-500 owners, or owners of the 3 yr./300,000 gal. or 5 yr./400,000 gal. 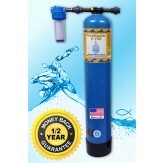 Equinox Premium whole house water filtration systems that utilize two (2) blue tanks vertically stacked. Replacement Media: Includes only the PureMaster™ V-Series™ filtration media necessary for the different stages within the V-500's blue tank unit, and a filter media filling/ refilling funnel. NOTE: This Replacement Media option is for existing V-500 system owners. 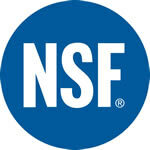 effectively performs for about 500,000 gallons or 5–7 years of use for the average household and is loaded with approximately 45 pounds of NSF® certified high grade water filtration media. 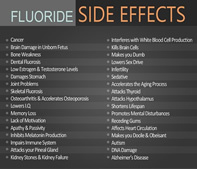 Because of the many known health risks of the fluoride in your water supply, you may also wish to get our highly-specialized FluorideMaster™ Whole House Fluoride Filtration System along with the PureMaster™ V-500. Outstanding Performance, Review by Kevin M.
Very satisfied, Review by Ronald M.
Running perfectly for 4 months, clear water from the first day., Review by John R.